Greg St. Ours concentrates his practice in: • Civil litigation, including employment, insurance defense, professional malpractice and errors and omissions (contractors, directors, officers, design professionals and lawyers), lender liability, construction, land use and zoning, insurance coverage, personal injury and wrongful death, antitrust and business torts, intellectual property and health care; • Business counseling and commercial transactions, including commercial contracts, small business governance, finance and mergers and acquisitions, commercial real estate, development and construction, employment, franchising, antitrust and trade regulation, business torts, insurance coverage, land use and zoning, eminent domain, licensing, risk management, supplier and vendor contracts and copyright and trademark; and • Health care including medical staff bylaws, medical staff rules and regulations, credentialing, peer review, patient care and associated policies and forms. Upon graduation from the University of Virginia School of Law in May 1983 until December 1985, Greg practiced at a large firm in Washington, D.C. (principally antitrust litigation). Greg joined Wharton, Aldhizer & Weaver as a litigation and health care associate that December and has served the firm as a partner since January 1989. 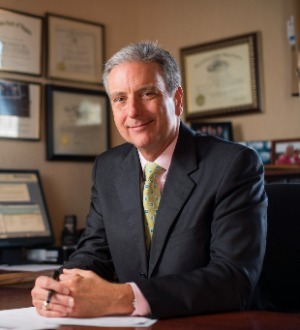 He has practiced before federal and state Courts in Virginia, West Virginia and the District of Columbia and argued appeals before the Supreme Court of Virginia and the United States Court of Appeals for the Fourth Circuit. Greg has served on professional boards and sections of the Virginia Bar Association and the Virginia State Bar, including a three-year term on the VBA Board of Governors, terms as Vice Chair and Chair of the governing bodies of the VSB antitrust and VBA health law sections, a term as liaison to the VBA real estate section, a term as Secretary, Vice Chair and Chair of the VSB construction law section and an extended term as a member of the VSB Professionalism Faculty for new Virginia attorneys. Greg is currently Immediate Past Chair of the VSB construction law section. Greg is a member of the VSB Professionalism Faculty for law school first year students. Greg holds a Virginia Class A Contractors License, No. 2705 095593A. He has some seven years of experience in residential and commercial construction and brings this experience to bear in advising and defending contractors, engineers, architects, surveyors, developers and lenders.